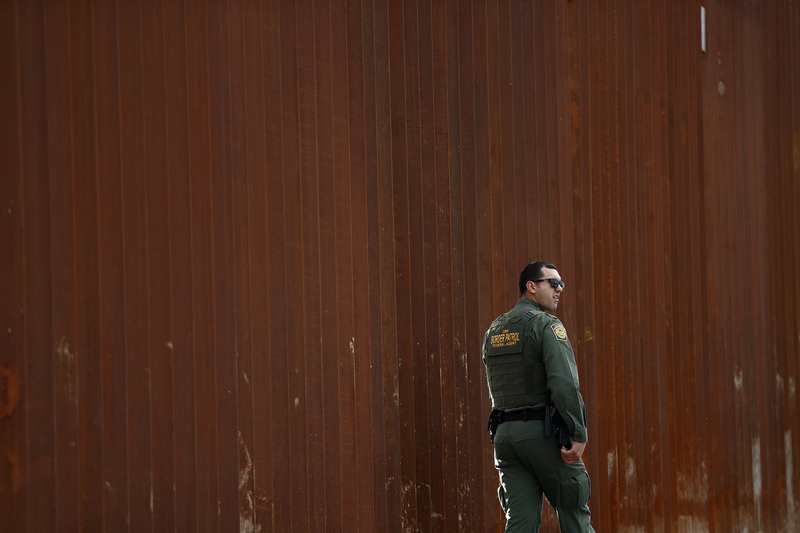 Washington - President Donald Trump’s plan to declare a national emergency to free up money for his border wall would be an extraordinary step, despite his statement that predecessors liberally used such power. The White House said Thursday that Trump plans to go ahead with the declaration as part of his effort to direct money unilaterally to wall construction, because Congress agreed to give him far less than he demanded in the deal averting another government shutdown. TRUMP: “You know, we already have national emergencies out there. You know, President Obama, President Clinton, President Bush — they’ve declared many national — this is not unique. They’ve declared many national emergencies. Many, many.” — remarks at a Cabinet meeting Tuesday. THE FACTS: The emergency action would be rare. The presidents he cites did not use emergency powers to pay for projects that Congress wouldn’t support. Emergency declarations by Obama, Bush and Clinton were overwhelmingly for the purpose of addressing crises that emerged abroad. Many blocked foreign interests or terrorist-linked entities from access to funds. Some prohibited certain imports from or investments to countries associated with human rights abuses. With Congress unwilling to give Trump anything close to the $5.7 billion he wants to build a portion of the border wall, he had suggested for some time that he would find money elsewhere, whether with an emergency declaration or by other means. He might find some support from several laws passed in the 1980s. One says that in a declared national emergency requiring the use of the armed forces, the defense secretary can shuffle military construction dollars that have been approved by Congress to construction projects that were not specifically authorized. Another allows approved Army civil works money to be shuffled similarly to a new purpose. The presidents Trump referred to did not undertake such projects. Altogether, Clinton declared 17 national emergencies, Bush, 13, and Obama, 12, according to a list compiled by the Brennan Center . The Brennan Center has tracked 58 emergency declarations back to 1978, of which 31 remain in effect. Obama’s emergency declarations were aimed at blocking access to property of “certain persons” involved in crises abroad — Ukraine, Burundi, Venezuela, Central African Republic, South Sudan, Yemen, and Libya, among other countries. He also used the declarations to punish the Russian government and transnational organizations. His only declaration not centered on foreign interests came in 2009, when he declared a national emergency to deal with the H1N1 flu pandemic. Bush and Clinton were similarly focused on foreign crises in their declarations. Clinton used one to prohibit transactions with the Taliban in 1999; Bush issued several in response to the 2001 terrorist attacks. Duh but guess what. Trumps election and rose to power is not so ordinary. The opposition to trump is unprecedented as well. Trump has no choice but to do unordinary measures to survive and keep on winning. "Ordinariness" has no relevance either to Constitutional allocations of power among the branches of government or to the lawfulness of the declaration. It is "not so ordinary" for a President to work as few hours and be as lazy as is your Fuhrer...to brag about "...pu--y grabbing..." to take Putin's word over that the unanimous opinion of US Intelligence Chiefs...to make an international fool of himself, declaring North Korea's nuclear threat to be gone...to back out of the TPP, enabling China to enter into a broad trans pacific economic alliance with our former partners...to have "...they'll pay for themselves..." tax cuts as his crowning legislative achievement which don't, adding to a record deficit...to refuse to disavow support from Neo-Nazi and White Supremacist leaders...to be cornered into defensive corner by Congress...to have multiple women accuse him of sexual impropriety....to have over 20 former campaign and administration officials under criminal indictment or investigation...etc. Educated, if you mean Trump's rise to power, it weasn't ordinary. It was extraordinary because never before has a foreign government interfered in an American election to place a puppet in power. There is little Trump can do to survive once the Investigations by Mueller and the Democrats are complete. He may be safe from other inmates in that high security Federal prison where El Chapo is headed. “ "Ordinariness" has no relevance either to Constitutional allocations of power among the branches of government or to the lawfulness of the declaration. Oh my look who the wind blew in. Tricky yoni is back with his lies! Why did you decide to use your real name today? Lets do some fact checks. "It is "not so ordinary" for a President to work as few hours"
"to take Putin's word "
Again niarishkiten. He didn't take Putin's word. He is juts playing you. Of course they mingled and colluded. but big deal. The whole notion that Mcabae thinks its its terrible that Russia helped Trump win. Its not terrible. So he lied to you. yup I said it. Trump does lie to you fakers. But i love it. you see with you guys you can't be honest. Its much better to lie. You guys make a tzimus and make up nonsense on everything. In 2012 you all laughed that when romeny said russia is a threat. And you were right. They aren't these crazy communists like stalin,. Now when Trump wins oy vey the greatest threat bec they posted a few fake accounts on FB and let out a few emials. With you crooked people we need to act crooked. Such few words wrong about so many things. The extraordinary nature of his victory doesn't provide him with any more power than the constitution provides for. declaring North Korea's nuclear threat to be gone. Come on he is playing with fat rocket man. of course he is not serious when he says that. but hats the game. Say it enough till fat rpocket man feels stupid making a nuke. You silly man. Even liberals are now saying the man will win this trade war. china needs us and its economy will flop. they are already buying more soybeans, he arrested one of their cheiufs in canda for copyright thetf and infringements. They know Trump means business wna dwill start cracking down. You are unhinged on that one. yes i know. You believe in Cortez logic. tax the rich to pay for govt handouts. But block the rich from getting rich via creating jobs in NYC. Lets punish the rich on all ends. being rich is evil. But if you don;t like the growing defict due to tax cuts there is a simple solution. Cut govt programs. Cut medicad. But don't tax me for your nonsense. "refuse to disavow support from Neo-Nazi and White Supremacist leaders." Again nariishkiten. trump is not this PC guy who disavows and denounces stuff. Those stuff are all a show. Like Omar the congresswoman who can say her peace and then for PC reasons apologize yet somehwo still stick to her shita. Its all a shpiel. trump doens't denounce these stuff. but his actions take louder than words. trump has always been kind to jews and Israel and thats what counts. All a whitchhunt. If they dig they can find dirt on you too. And especially when you do complex international business. Your only one vaild point is Trump and women. i don't go for his lack of modesty. Overall the man is doing a great job and he is still in power! “ Educated, if you mean Trump's rise to power, it weasn't ordinary. It was extraordinary because never before has a foreign government interfered in an American election to place a puppet in power. you still think Mueller will get him? Are you so foolish? its two years already. i have been hearing you call for his gloom and doom since day one. Nu when is your predictions going to happen already? And how do you expect mueller thing to go down? Impeachment? Big deal you need 2/3 to remove. Indict a sitting president never gona happen. Its not done. too bad but Trump is here for sure till 2020. And guess what you can't do a thing about it. ain't that too bad on you. How does Educated Archy find so much time to spew his nonsense if he's employed. Who and where is Yoni who Archy seems to find hiding behind every comment? “ How does Educated Archy find so much time to spew his nonsense if he's employed. the second word backwards is yonasonw. Thats who the mishigna yoni is. he use to call himself yoansonw and then siad he is leaving and never writing another comment. A day later he posted under Cixelsyd_Wnosanoy. He then openly explained that its yonaosnw backwards. Yakov doe since you are Cixelsyd_Wnosanoy as well you should know the answer. But I feel honored that under one article we have the privilege of a law enforcement individual like Cixelsyd_Wnosanoy and interestingly enough yakov doe who has very similar credentials and even gets to see FBI arrests and is also a senior experienced in a very similar field. How ironic. So much time to spew? how much time do you think it takes to write a few comments? less time than keeping track of all your screen names.